Michael Kors MK2055 is a Full Rim frame for Women, which is made of Propionate. 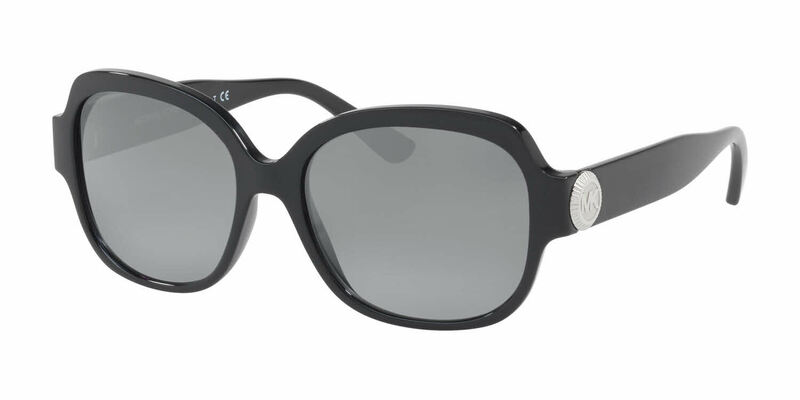 Michael Kors MK2055 RXSunglasses come with a cleaning cloth and protective carrying case. Going gray, I've been sticking with black frames. These accentuate my gray hair and look so pretty, especially with the Grey Gradient lens tint. The frames are sturdy and in no way do they feel light in any way. The fit is great and on point. Mine need no adjustment nor tightening on the ear pierces. If you like Michael Kors, you' like these sunglasses.